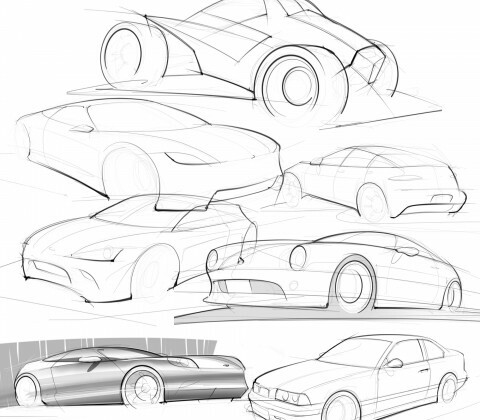 I’m going to be flat-out honest when I say that for as much as I want to re-learn how to draw cars, it’s not an easy thing to commit to. You see, automotive illustration is a very physical thing. For the best quality, it’s necessary to draw from the shoulder and move the entire arm to create a smooth and flowing lines. And at the end of the day (usually the only time I have to draw), I just don’t have it in me to do something physical like that. I’m a visual designer in my day job, meaning that I’m essentially a jack of all trades graphic designer. I design mobile apps, websites and posters, as well as creating 3d content for advertising. But none of this is very physical work. It basically involves moving my wrists and fingers to push my mouse around and press some keys. Not very healthy, I know, and it’s one of the reasons why I want to be doing less of this as I get older. The other reason is age. I’m 40 years old now, and my days of being a hot-shot visual designer are numbered. This is a game for younger folks – the trend setters, if you will. I’m not setting any trends anymore, and I’m starting to think that automotive art is going to be my creative outlet once I hang up the visual designer thing for good. But the problem is (as evident by my latest sketches above) that I’ve got a long way to go to be considered the hot-shot artist I want to be. That means that I’ve got to change my mindset about drawing cars. This is what I want. This is the next chapter in my life. And the only way I’m going to be great is to practice every single day. 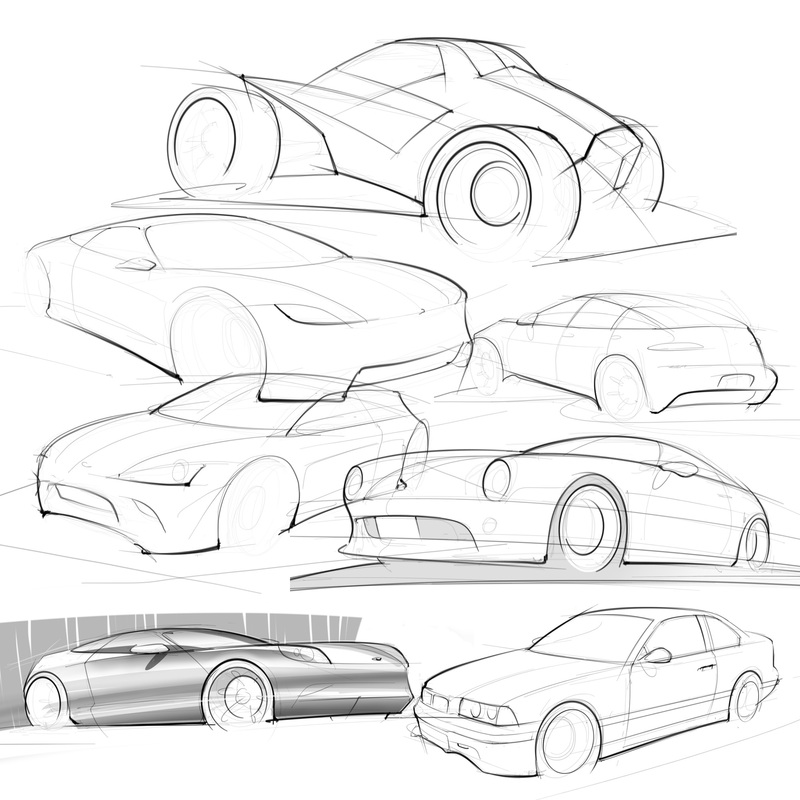 And the good news is that I have been practicing – the sketches above are some of the cars that I have sketched over the past week. I’m not really happy with any of them, but I know I need to bust through this period of never being satisfied if I want to break through and be a hot-shot.